I bet not many blogs can claim to make you a perfect woman but I’m going to go for it. Go hard or go home, as it were. 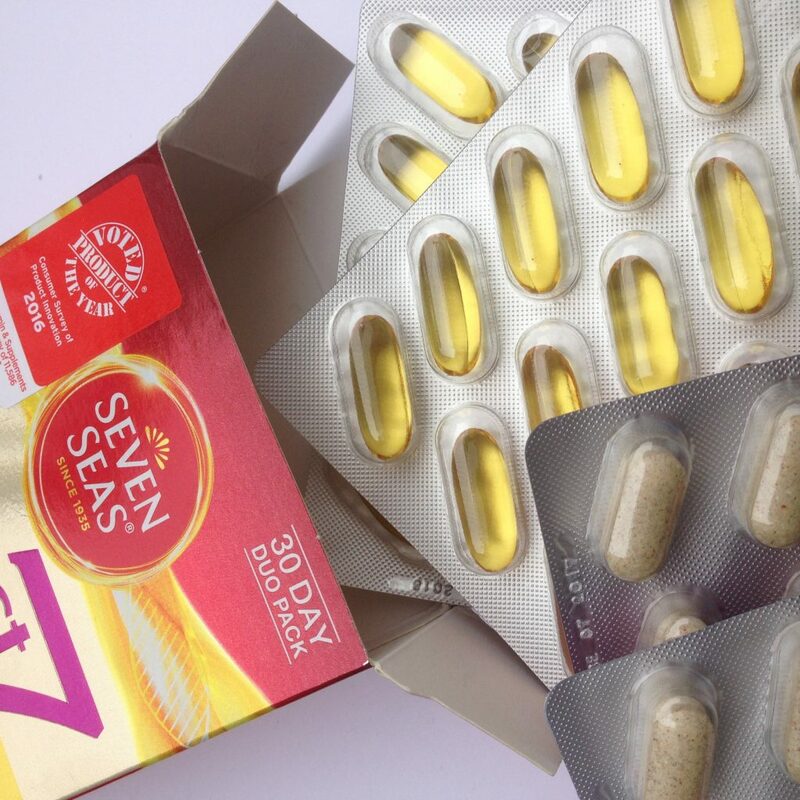 Obviously you’re pretty perfect already, but how do you fancy trying out some multivitamins that will help you become even more super-powered? 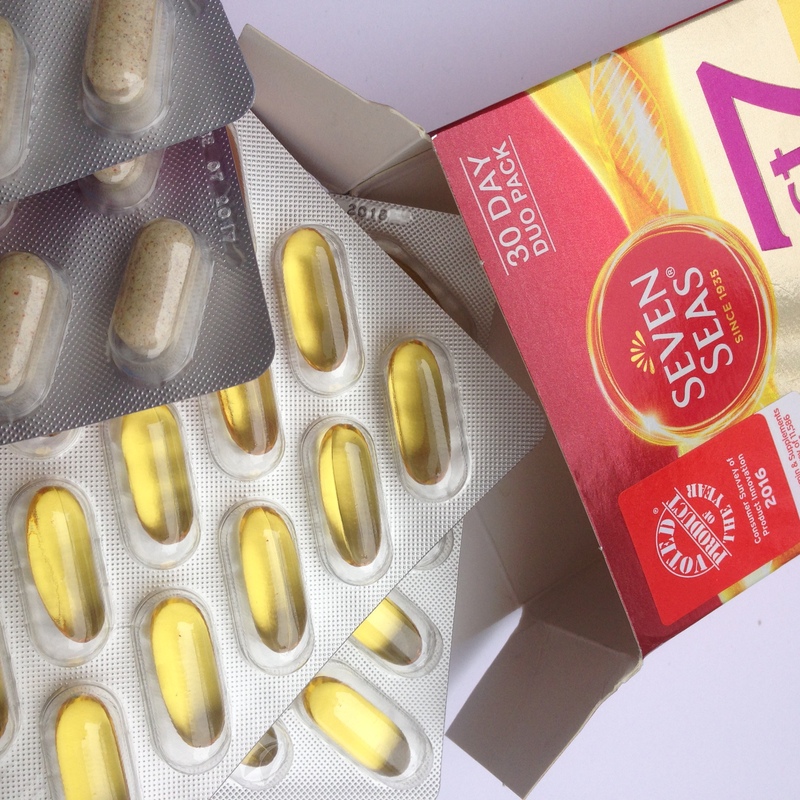 The nutrition experts at Seven Seas have been researching the benefits of marine oils for over 70 years. They’ve identified 7 key needs for women and developed those into Perfect7 Woman. It was voted Product of the Year by the Consumer Survey of Product Innovation 2016, winning the Vitamin & Supplements Category as a result of over 11,000 people surveyed. Broadly speaking, when your skin takes nutrients from your food, it distributes them to the skin last. Your pesky brain thinks it knows best, so it prioritizes giving nutrients to your inner organs that keep you alive before it gives any to your skin which doesn’t (as much). This is why, even if you’ve got a healthy and balanced diet, it can take a while for that to show up on your skin. And it’s also why taking some sort of supplement can boost your vitamin levels enough to make a difference. It’s not a substitute for a healthy lifestyle but it can do a lot to support one. I’ve been taking Perfect7 Woman for the last few days, and whilst it’s too soon to notice a difference, I really believe that supplements like this are a good idea. 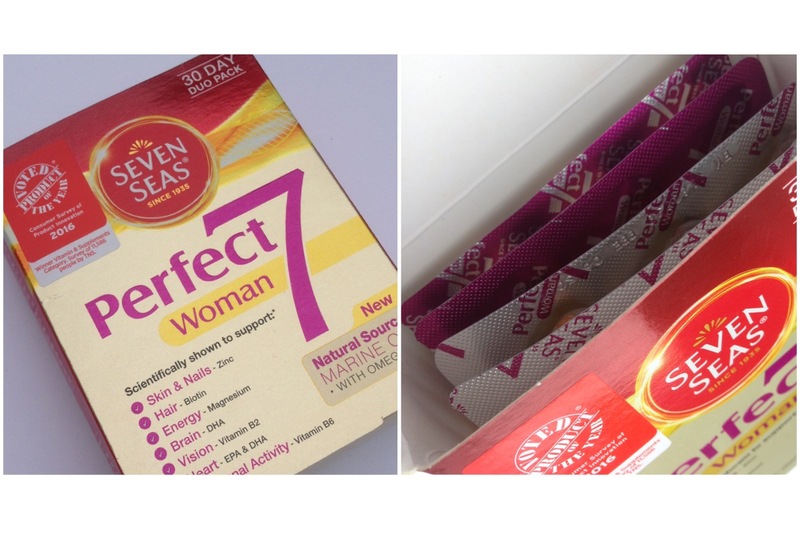 One reader will receive a three month’s supply of Perfect7 Woman (three boxes, value £30). 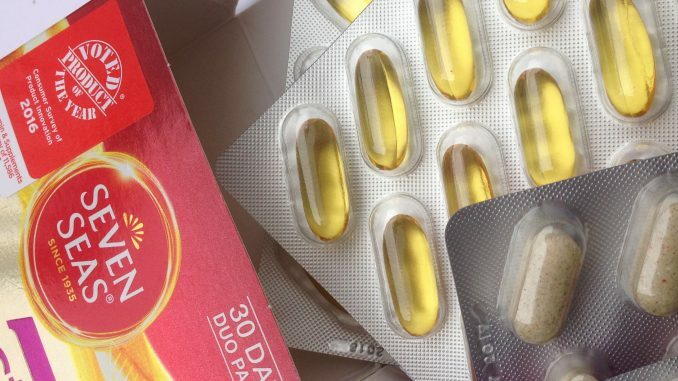 Each box contains 30 multivitamins and 30 oil capsules. Take one of each every day with a cold drink. Perfect7 Woman is widely available both online and in stores such as Boots. Closing at midnight on 17th July 2016. One winner will be chosen at random and the prize sent out as soon as possible after that.